I would like to share a story with you, one of a personal nature. Just over four years ago, I started running again after a 20-year hiatus. At the time, I weighed almost sixteen stone and to be honest, I couldn’t even run the length of the Tay Bridge without stopping. This was discouraging. It was hard. It simply hurt, but I was determined to make it a habit, and I persevered. 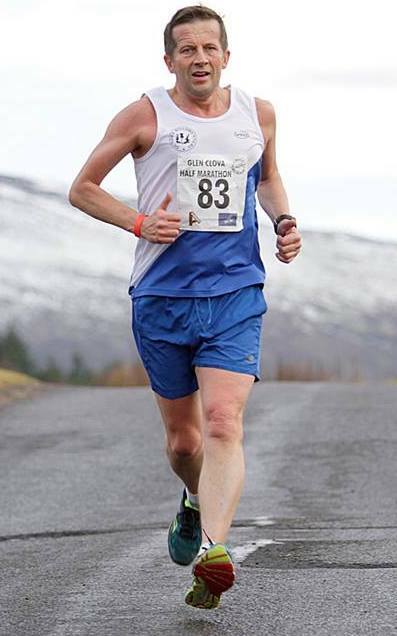 Now, four years later, I weigh just over 12 ½ stone and running is a daily habit for me and a big part of who I am. I regularly run 50 miles a week and have completed countless road and trail races. in 2016 I even completed four marathons in one month in support of a local charity, The Blake McMillan Trust, which I am a passionate supporter of. This change seems huge when you stand back and look at it over the four-year period – going from 0 miles a week to 50 – but in all reality, I strategically chose one small positive change that eventually created a ripple of other changes. I finished work each day and I ran. Then I ran longer. Then I ran faster, and soon my diet changed and my lifestyle changed, and before I knew it I was in better shape in my 50s than I was in my late 30s or 40s. This one small shift in my behaviour eventually led to a series of changes that had a grand impact in my life. This principle is equally relevant to any dental practice. Small habits can be identified and changed, resulting in a significant and noticeable difference. The important thing is to identify a “mainstay habit,” one that is likely to have that same ripple effect that I experienced. It may be altering the way internal communications take place within your business; helping employees better understand your goals and objectives will lead to a more motivated workforce and better satisfied employees, which will ultimately result in a better customer service, higher customer satisfaction, greater customer loyalty, etc. Or maybe as a manager you decide to change your daily routine by making an effort to prioritise your goals and objectives for the day each morning, resulting in a better prioritised, more efficient and more productive work day. This is bound to lead to accomplishing more in a shorter period of time and greater achievement of goals throughout your business. 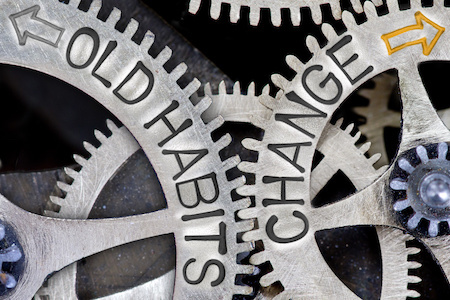 It’s easy to see how one change can lead to a series of other powerful changes, but it’s important that change becomes a habit – a daily effort, a routine. So what habits should you be changing in your daily routine? Do you need to make personal changes as a manager or business owner? Or does your organisation as a whole need to alter its habits? Remember, as long as it starts with a “mainstay” habit, those little habitual changes will eventually add up with big results. In order to have the biggest, most impacting results in your business, call me at 07860 476 358 to schedule a complimentary session to discuss your goals.